There are bikes everywhere! 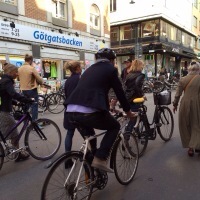 Everyone rides bikes….in suits, dresses and any other clothing. The best part…the gazillion bike paths. The worst part….if you are not careful they will run you over. The cars stop for pedestrians. The bikers, maybe. 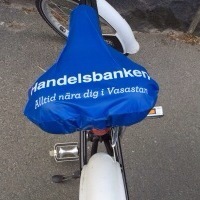 Unique advertising shows upon your bike seat. A little shopping, a lot of eating….